Summer brings with it a unique mixture of allergies. Summer brings with it a unique mixture of allergies. Some of the allergens people are exposed to, especially during the summer months, are chlorine, bug spray, suntan lotion, molds, perfumes, and unexpected allergens during travel. Chlorine usage increases during summer time. Hotels and areas that want to keep molds down often use increased bleach concentrations during summer months to clean their bathrooms and public areas. Public pools are required, by law, to use chlorine in their pools. Chlorine is also used to clean many of the fruits and vegetables you might find at your local grocers or farmer’s market. If you are allergic or sensitive to chlorine, this extra exposure could ruin your summer plans. Indications of chlorine allergy can include excessive redness of eyes after swimming in a public pool, rash, dizziness, flu-like symptoms and fatigue. However, there are some things you can do to reduce exposure and counteract the effects of this chemical. 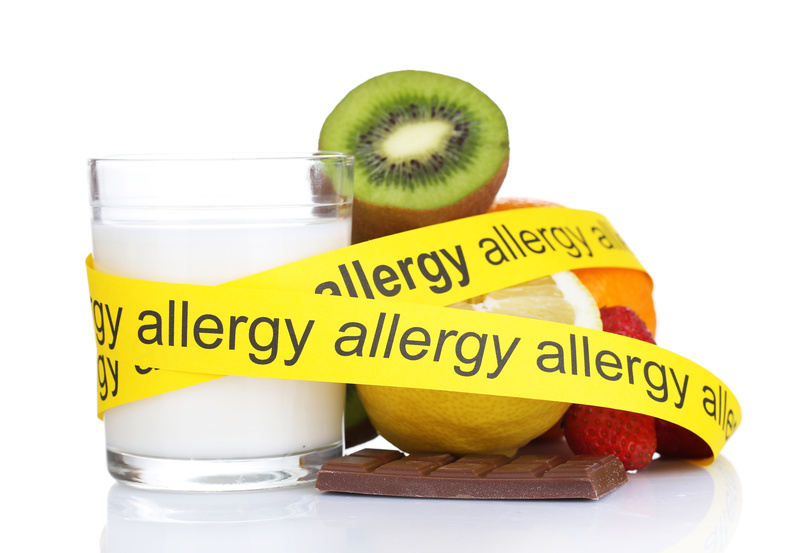 As with most allergens, avoidance is the best policy. Someone with a chlorine allergy should try to swim at local lakes or rivers instead of public pools. Green juices and green herbs can help counteract the effects of chlorine. Some good choices are wheat grass juice, celery juice (with carrots or apples for taste), spinach and tomato juice (tomatoes also protects the body against the sun), nettles, alfalfa, mint, or dandelion leaf tea. Another allergen that is on the rise during the summer months is bug spray. Bug sprays work by repelling insects away from your skin so most contain powerful chemicals that provide this service. The most popular bug sprays can contain DEET or Picaridin (EPA). It is hard to counteract exposure to chemicals, especially if you are allergic or have chemical sensitivities. If a person needs to use a bug spray it should be used outdoors and away from other people. It is better to use natural bug sprays instead of chemical ones. Making homemade bug spray is also an option. Although there are many different recipes for homemade bug spray and many recommend citronella or eucalyptus, I usually recommend something that is mint based as many people have reactions to citronella, eucalyptus and or flower-based essential oils like lavender. Sunscreens are another allergen that people are exposed to during the sunny summer months. Most sunscreens work because they contain either an organic chemical compound that absorbs ultraviolet light (such as oxybenzone) or an opaque material that reflects light (such as titanium dioxide and zinc oxide), or a combination of both. Even people with dark skin need to protect their skin against UV rays from the sun. Poisoning can occur with the para-aminobenzoic acid agent found in some tanning lotions in people who are allergic to this chemical. Signs of an allergic reaction include shortness of breath, eye or nose irritation, rash, anxiety and vomiting. Of course the best way to avoid sunburn naturally is to cover up. Hats or head-coverings are also useful protection against the sun. However, how a person covers up is also important. If a person wears synthetic materials in hot weather they increase their chances of rashes, other skin problems and general body toxicity. Many Muslim clients I see actually have the opposite problem – they do not get enough sun. Muslim women that already cover up before they go out into the sun should also make sure they get at least 10-15 minutes a day of raw sun exposure either near an open window or outdoors. Foods with Carotenes and Lycopene can also help protect the skin from UV rays. Carotenes are found in vegetables and fruits such as sweet potatoes, carrots, pumpkins, mangos and apricots. Lycopene is found in red fruits such as tomatoes, red bell peppers and watermelon. In one study on Lycopene, the skin of test subjects was exposed to UV light at the start and end of the trial. Exposure to molds also increases during summer months for many reasons. Increased rain in the spring creates increased mold growth which then thrives in the warm summer months. A humid summer only makes this worse. When the air-conditioner goes off and the windows are shut these molds are trapped in the home and can make being at home a miserable experience for people with mold allergies. Fruits easily get moldy in the summer months and can also contribute to mold exposure. 1. Reduce bread and pastry consumption. 2. Avoid cheeses, mushrooms and pickles. 3. Increase vegetables and decrease fruits. 4. Avoid fruit juices unless they are freshly made from fresh fruits. 5. Eat only freshly picked or very fresh produce. Do not keep fruit in a fruit bowl. 6. Wear a face mask and clean mildew or moldy areas in the home with a bleach solution. 7. Sleep on allergy free bedding and change bedding and bathroom towels often. Summertime can be coupled with an increased exposure to perfume and scented lotions. Bug sprays and suntan lotions usually have perfumes in them. Additional perfume exposure can come from sprays used by airlines, bus companies, and hotels to keep their spaces “deodorized and sanitized”. When planning a trip, a person who has sensitivities to perfumes should be sure to look online to find hotels that have “allergy free” rooms as an option and carry a face mask with them for plane travel or other situations where they may not be able to avoid exposure. Protective masks can be purchased at the local hardware store in the same area you purchase paint brushes and paint. Unexpected allergies also increase in summer months with the increase in travel. There is always the chance that when traveling a person might experience unexpected allergies from a new plant, food or chemical they are exposed to. If someone has a history of allergies – even if they have never experienced anaphylactic shock – they may want to ask their doctor to prescribe an emergency Epipen for them or at least bring along some strong antihistamine medicine for emergencies. Alternative treatments for allergic reactions include high doses of vitamin C, nettles, centipeda minima, sweet chestnut tree (Castanea crenata), Asian rose (Rosa davurica), hardy orange (Poncirus trifoliata), ashwaganda, and Chinese skullcap. Be sure to avoid herbs like cinnamon, cayenne pepper, dandelion root, Echinacea, ginkgo biloba, psyllium seed, St. John’s wort, yarrow and feverfew that have been known to cause allergic reactions in many people. Homeopathic remedies such as aconitum, arnica montana and apis mellifica can be used alternatively to treat the after-effects of anaphylactic shock. Foods and herbs containing Quercetin has also been shown to be helpful in treating allergic reactions. Quertecin is the substance that gives many vegetables their color; however it is most abundant in apples, onions, green tea and St. John’s Wort. (American Cancer Society). Daniells, Stephen. “Study Supports Lycopene Protecting Skin From Within.”Nutraingredients.com. 29 Apr. 2008. Accessed 22 June 2009.French, Keith “Toxicity, Antihistamine.” Medscape. Accessed 22 June 2009. “Pesticides: Topical & Chemical Fact Sheets.” EPA. 5 July 2007. Accessed 22 June 2009. “Quercetin.” American Cancer Society. 11 Jan. 2008. Accessed 22 June 2009. Sheikh A, ten Broek VM, Brown SGA, Simons FER. “H1-Antihistamines for the Treatment of Anaphylaxis With and Without Shock.” Cochrane Reviews. January 24. 2007. Accessed 22 June 2009. “Sunless Tanning Product Ingredients.”Solveyourproblem.com. Accessed 22 June 2009. Dr. Karima Burns has been counseling as a Home-path for over 9 years. From the U.S. she is a doctor in Naturopathy, a Master Herbalist, and teaches with inspiration from the Waldorf school. She uses art, health and education to heal others. Will These Drinks Relax You?